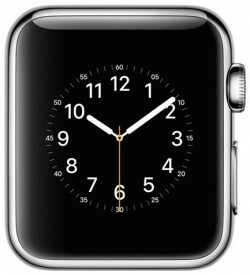 Apple Watch to Feature Time-Only ‘Power Reserve’ Mode, Prototypes Disguised as Samsung Watches. With Apple’s media event just a week away and the company expected to offer final details there on the Apple Watch ahead of its April debut, The New York Times has a new report out sharing a few new tidbits on the device. Among the interesting details is the existence of an unannounced “Power Reserve” mode for the watch that will display only the time and cut off all other functions as the battery begins to run critically low, preserving the most basic functionality of the watch. The report also notes that while the Apple Watch has been widely tested by Apple employees, the company did work to conceal many of those prototypes by disguising them to resemble Samsung smartwatches. Sources have also provided more context to a Wall Street Journal article from last month that discussed how many of the originally planned health features for Apple Watch were dropped due to consistency issues. According to The New York Times‘ sources, the decision to drop many of those features came more than 18 months ago, refuting off-target reports in recent weeks claiming the cuts have come at the last minute. Nearly two years ago, the company experimented with advanced health monitoring sensors that tracked blood pressure and stress, among other variables. Many of those experiments were abandoned more than 18 months ago after the sensors proved unreliable and cumbersome, these people said. Apple long ago decided that for the first version of the product, it would include a heart rate sensor and a sensor for tracking movement, to market the device as a fitness-tracking companion to the iPhone. Previous reports have indicated Apple is still working on those technologies, and they could appear in future versions of the Apple Watch. Today’s report reveals some additional insight into the development process, noting that the Apple Watch is coming a bit later than originally hoped due to technical challenges that were likely exacerbated by the loss of several engineers working on the project. Google’s Nest Labs, headed by iPod pioneer Tony Fadell, was responsible for poaching several of the key Apple Watch employees. Apple’s media event will take place at 10:00 AM Pacific Time on Monday, March 9 at the Yerba Buena Center for the Arts in San Francisco. The company will offer a live video stream of the event, and MacRumors will provide full coverage of the event. This entry was posted in iRumors and tagged Apple Watch, irumors, iRumorsnow, Power Reserve, pre-order. Bookmark the permalink. Fresh Air iPhone weather app connects to your calendar. SanDisk Announces 128GB iXpand Flash Drive and Updated Sync App With Touch ID.